The Bengali film in question, ‘Hoichoi Unlimited’, stars actor and Trinamool Congress Member of Parliament Deepak Adhikari. 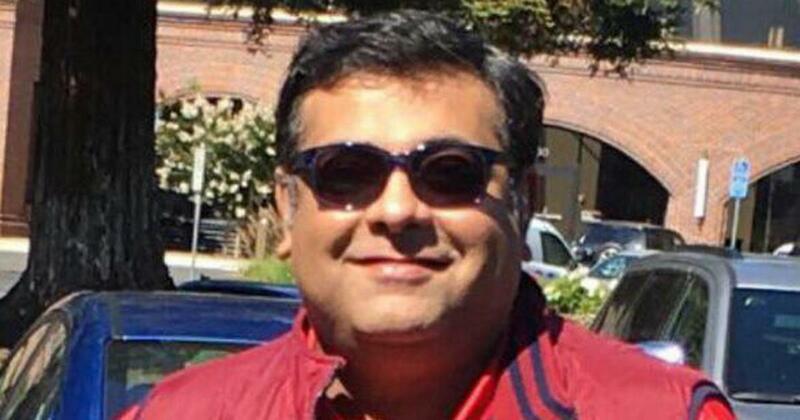 Indranil Roy, an entertainment journalist with the Bengali daily Sangbad Pratidin, was questioned by the Kolkata Police on Friday, ostensibly for tweeting that an upcoming film starring Bengali actor and Trinamool Congress Member of Parliament Deepak Adhikari has been copied from a Pakistani film. 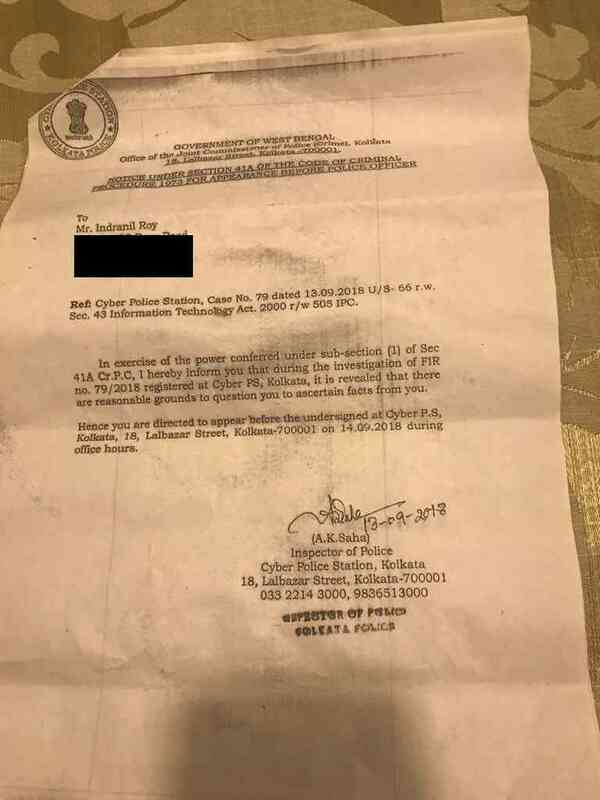 In response to a First Information Report filed on September 13, Roy was booked under sections 43 and 66 of the Information Technology Act and Section 505 of the Indian Penal Code, according to the police notice that Scroll.in has seen. 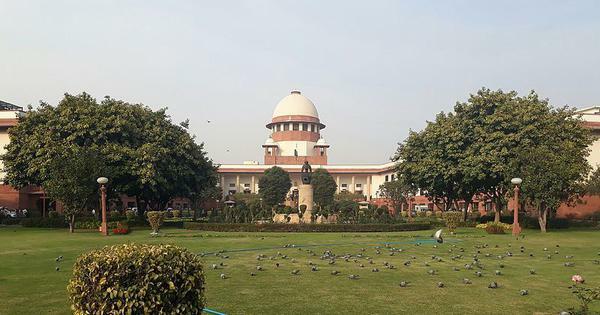 Section 66 of the IT Act relates to “sending offensive messages through a communication service” while Section 43 refers to getting access, making changes or contaminating documents on a person’s computer or computer network without permission. Section 505 of the penal code is related to circulating statements, rumours or reports that may cause offence to or harm the public. Notice summoning Indranil Roy to appear at the police station. The film in question, Hoichoi Unlimited, is scheduled to be released on October 12. 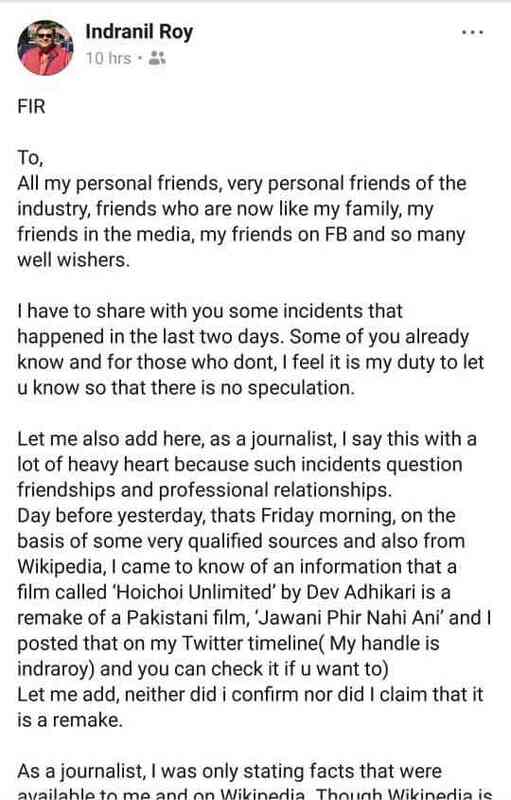 In a Facebook post on Saturday, Roy wrote that during interrogation by the Kolkata Police’s Cyber Cell department, he was told that the FIR had been lodged by Adhikari’s production house, Dev Entertainment Ventures, which has bankrolled Hoichoi Unlimited. However, when contacted by Scroll.in, a spokesperson from Dev Entertainment Ventures denied knowledge of the incident. The teaser of Hoichoi Unimited, directed by Aniket Chattopadhyay, was released in August. Jawaani Phir Nahi Ani, directed by Nadeem Baig, is the third-highest-grossing Pakistani film ever. The film tells the story of a divorce lawyer taking his three married friends to a trip in Bangkok to help them escape their wives. 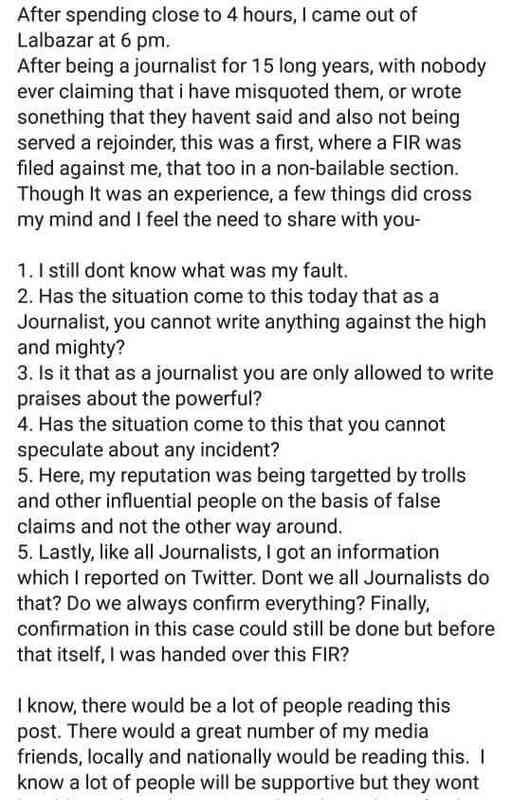 In his Facebook post, Roy recounted the sequence events leading up to the police interrogation on September 14. Roy’s travils began on the morning of September 13 when he tweeted a screenshot of the Wikipedia page of Jawani Phir Nahi Ani stating that the Pakistani film had been remade as Hoichoi Unlimited. Roy added that he hoped that the producers of the Bengali film had bought the rights to the Pakistani film. Roy went on to allege on Twitter that other users had accused him of editing the Wikipedia page of Jawani Phir Nahi Ani to claim that the Adhikari-starrer had been lifted from the Pakistani film. 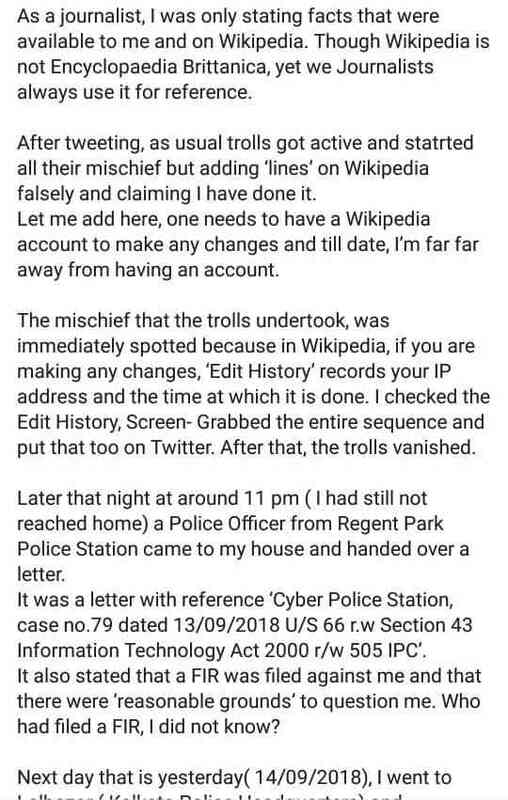 Roy supported the claims by posting screenshots of the IP addresses of the editors making changes to the page, which included the line “edited by Indranil Roy”. In another tweet, Roy posted the name of the alleged owner of the IP addresses. Dear Superstar...... ur films may not make keep a trail at the box office anymore but cyberworld is different.